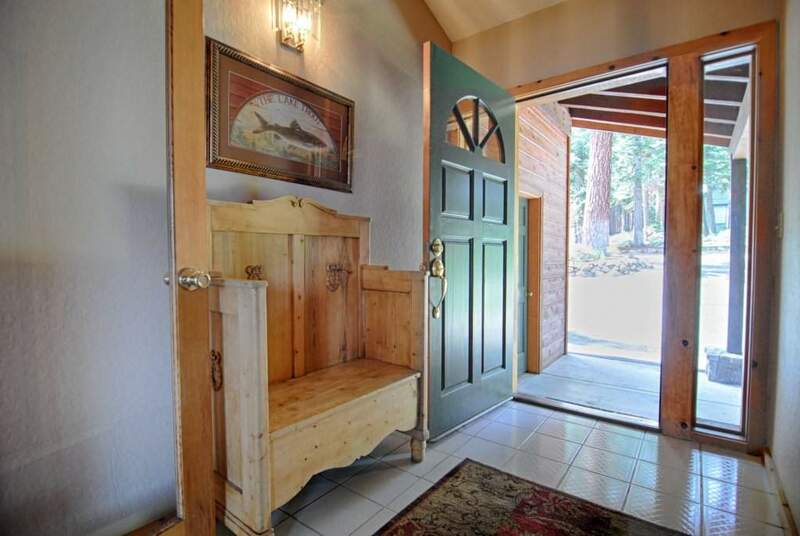 *SPECIAL NOTE: This property does not accept online reservations. 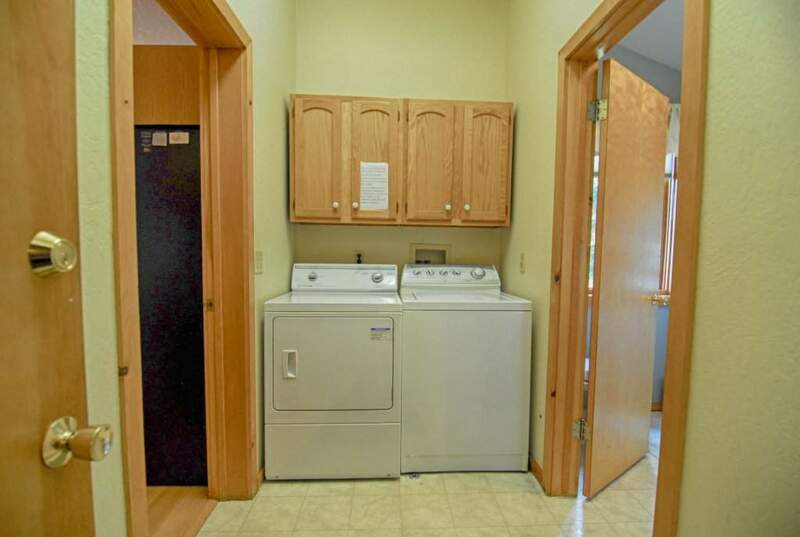 Please call an agent directly to request a booking. 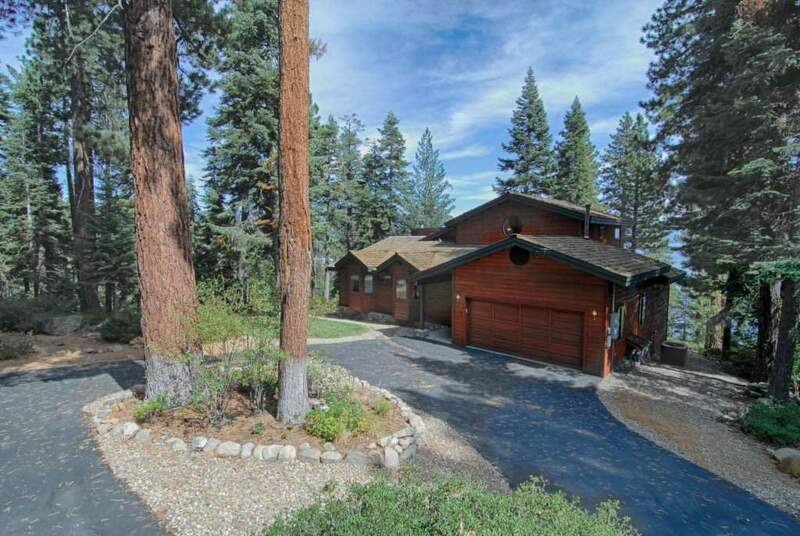 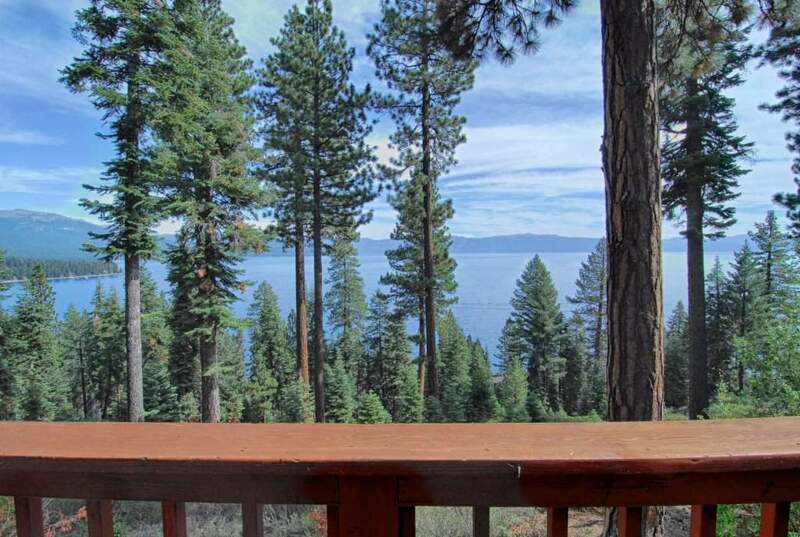 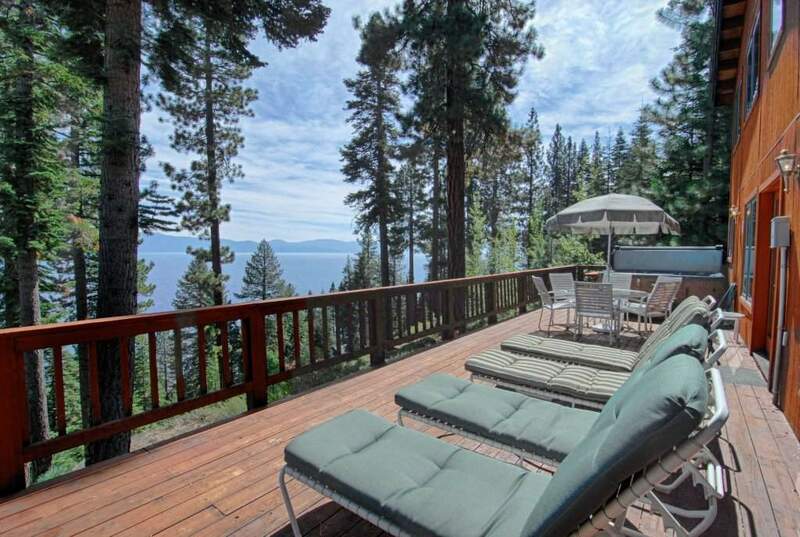 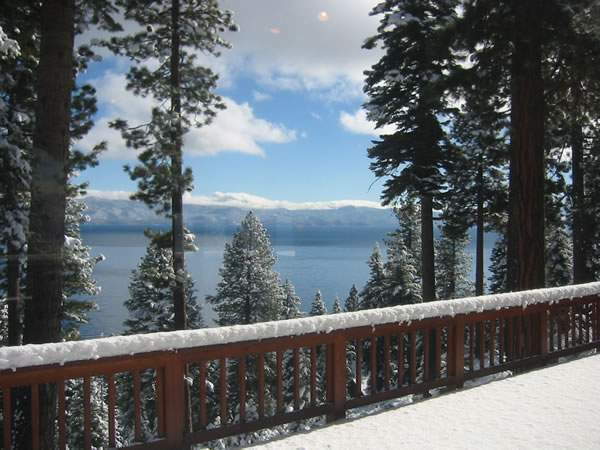 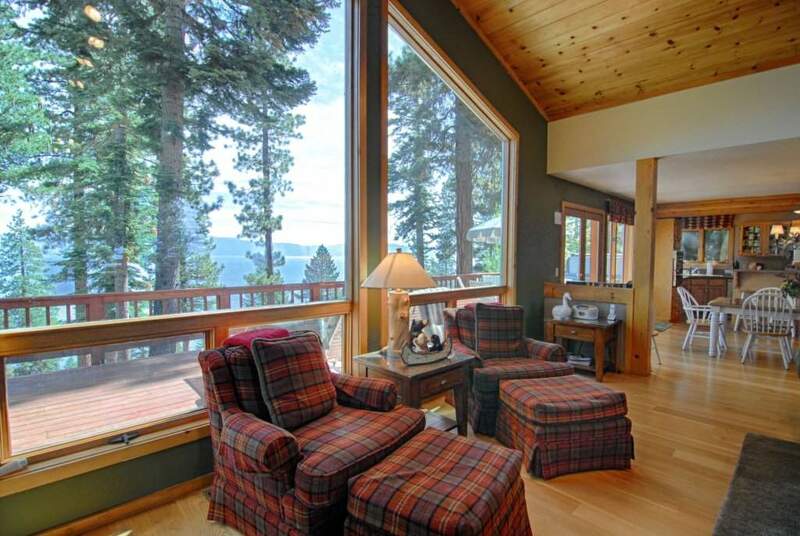 You won’t find a better hilltop view of Lake Tahoe! 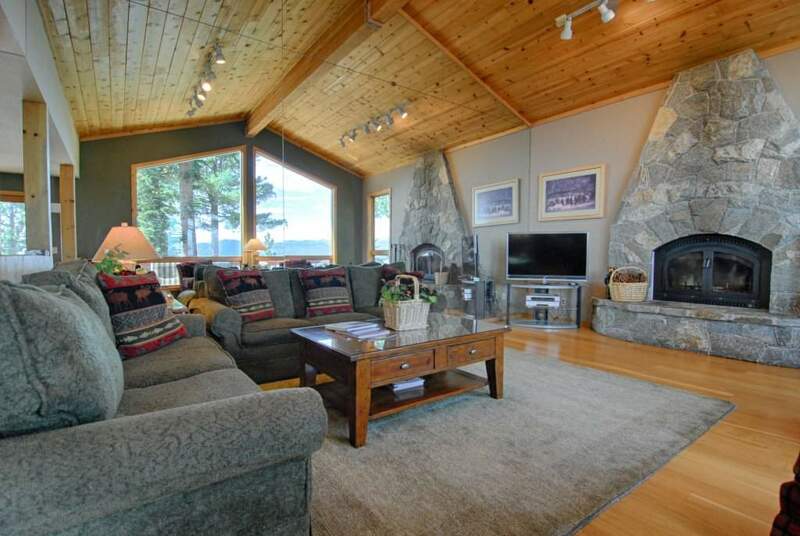 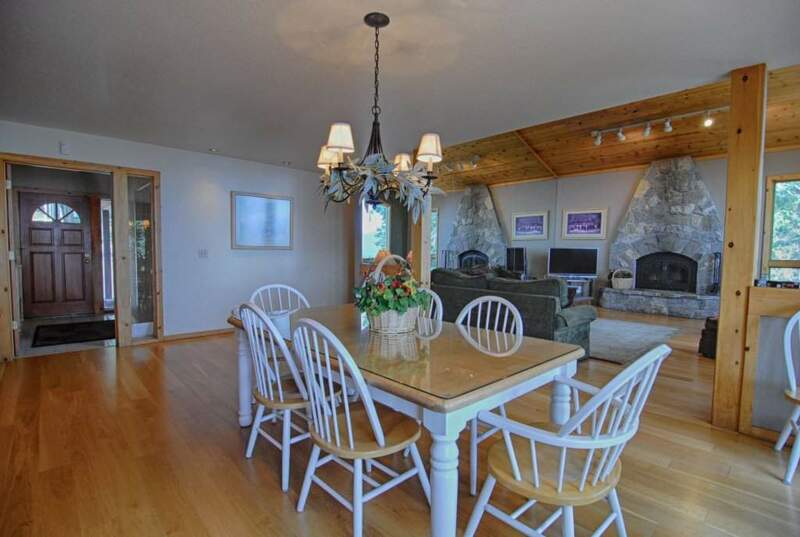 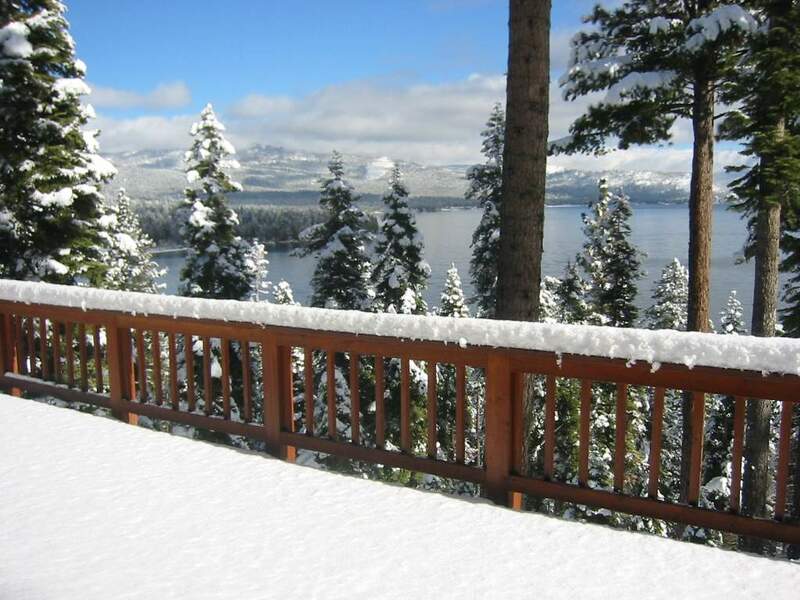 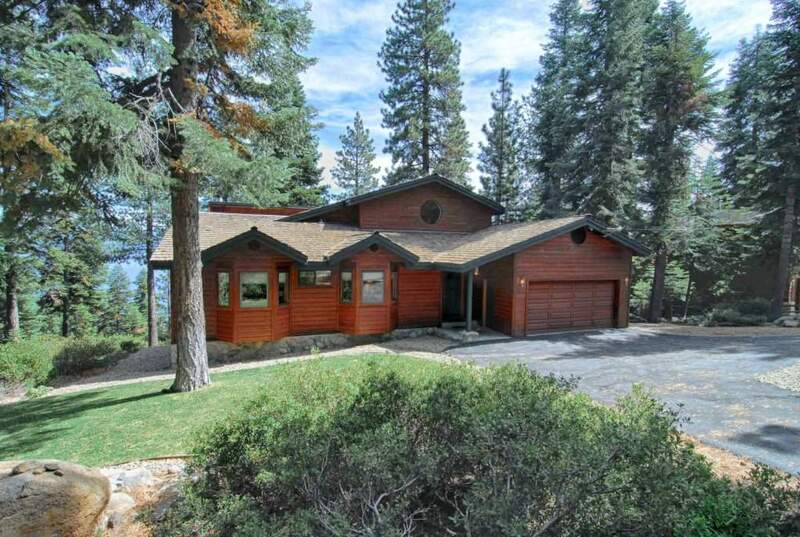 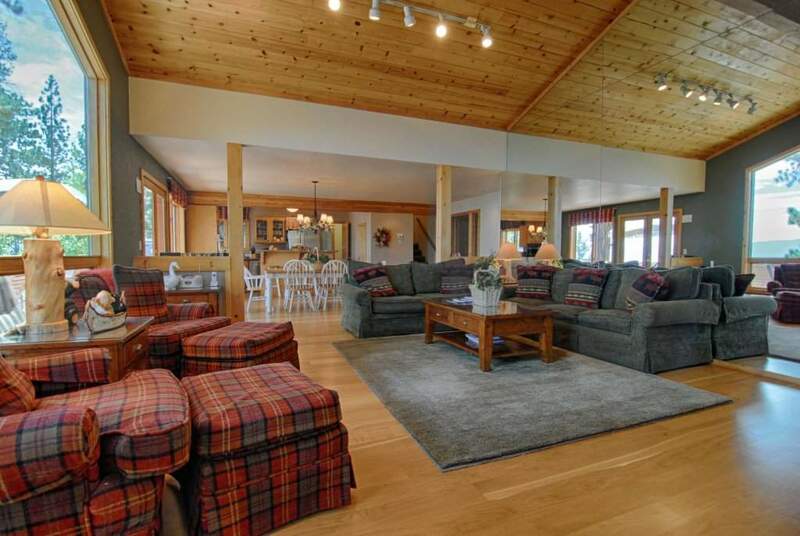 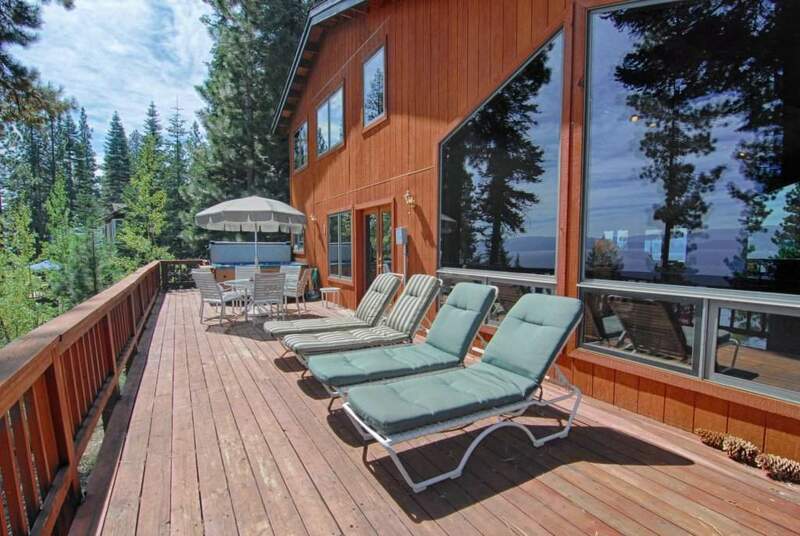 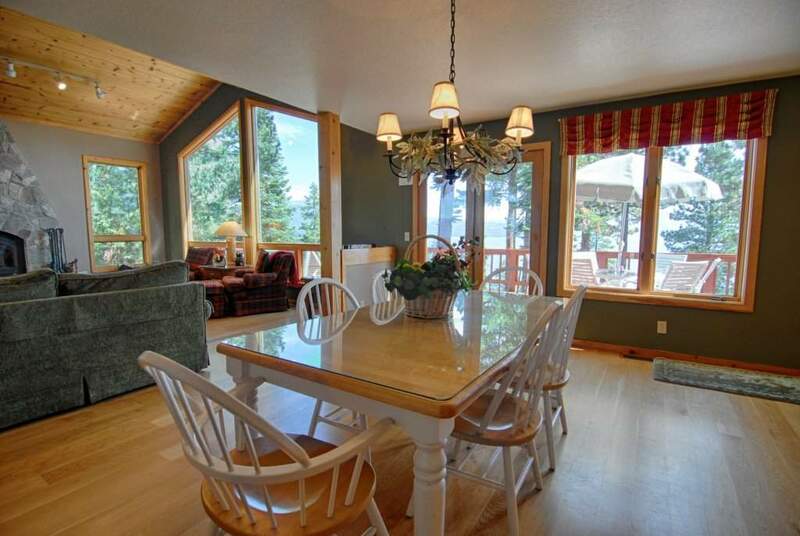 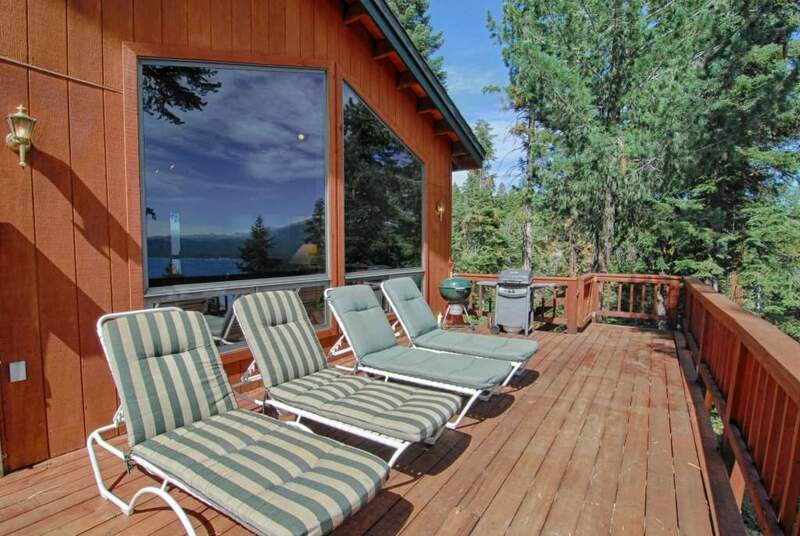 This 3 bedroom/3 bath luxury home-sleeps 8 and has the most spectacular lake-views from nearly every room in the house. 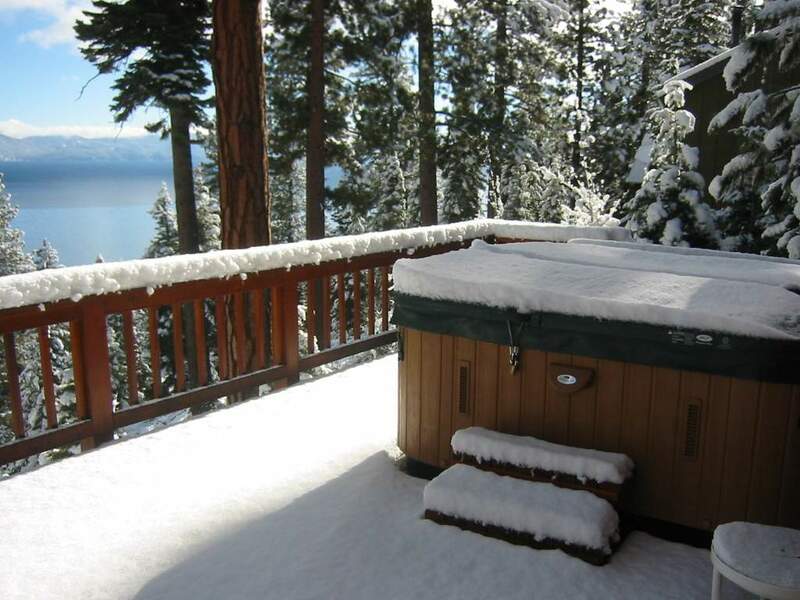 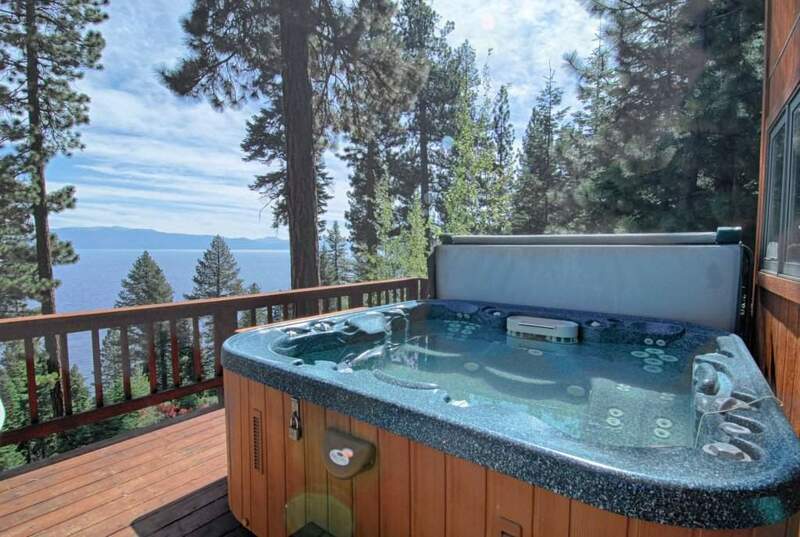 You can relax on the 60′ foot deck while soaking in the large hot tub. 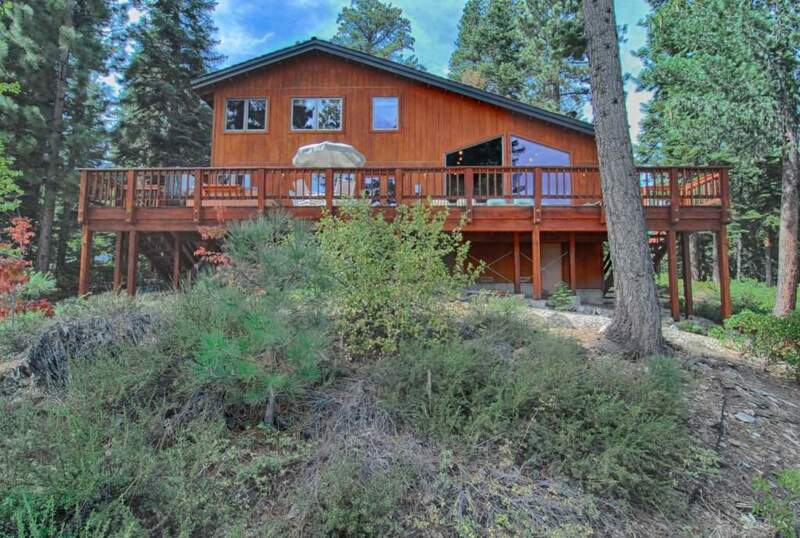 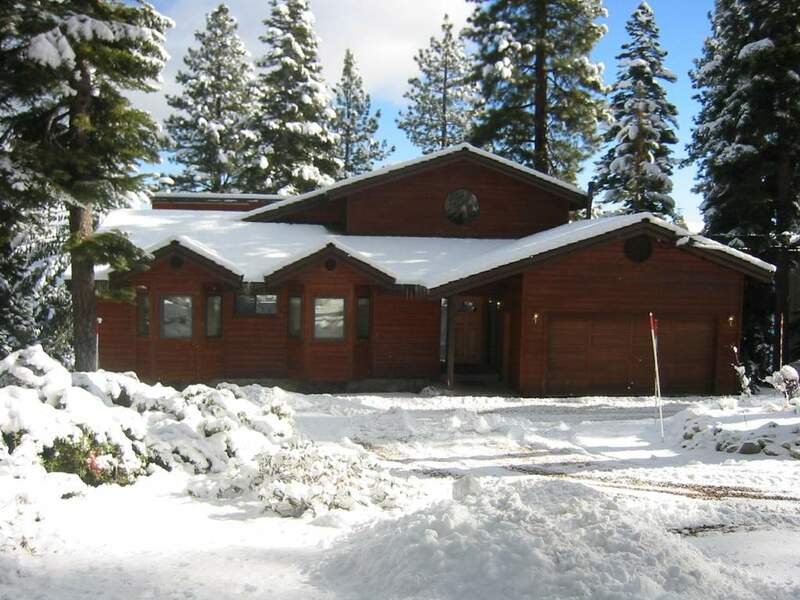 The beautiful mountain home boasts newer appliances in the fully stocked kitchen, wood burning fireplace and state of the art entertainment center in the living area . 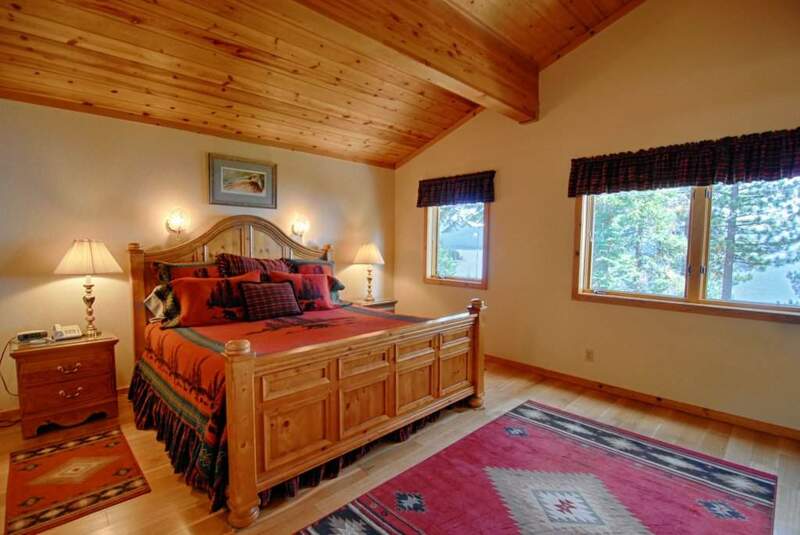 Get a great night of sleep in new comfortable mattresses. 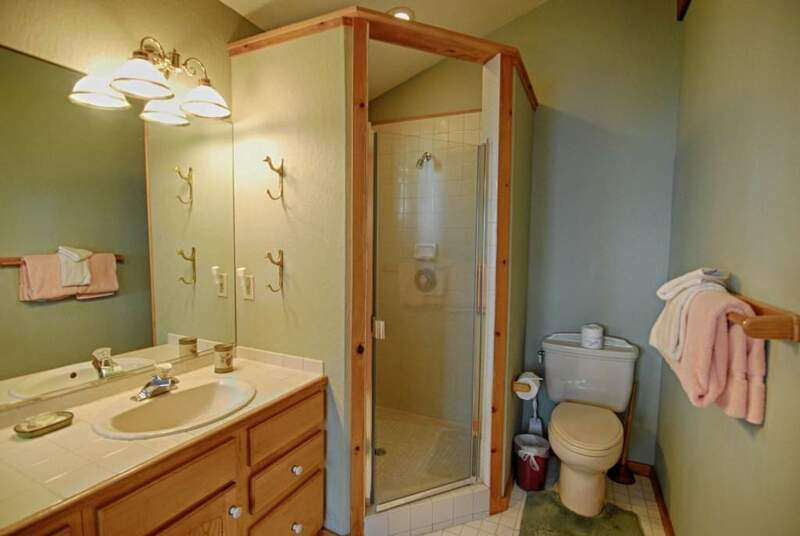 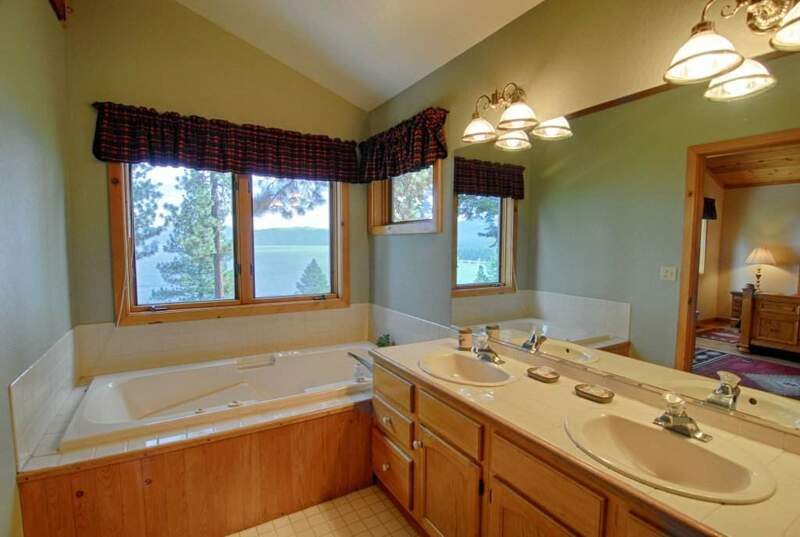 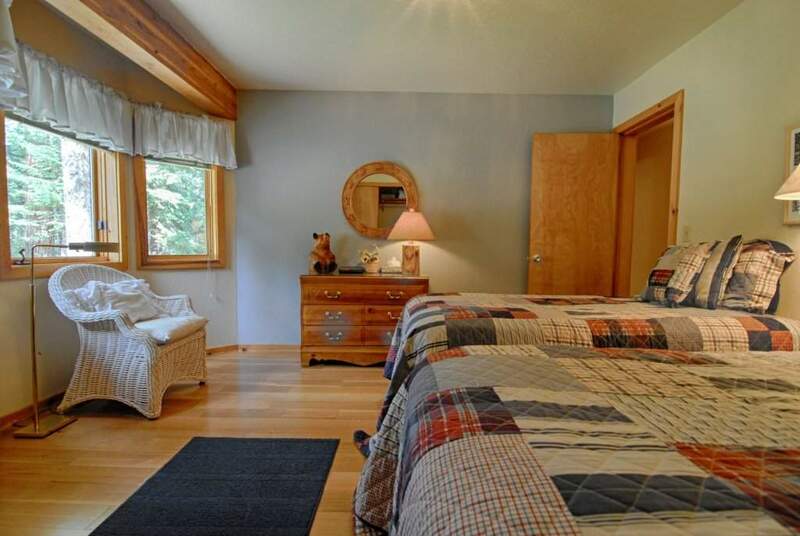 Master bedroom is takes over the top floor of the home and features not only lake views but an en suite bathroom complete with jetted tub and separate shower. 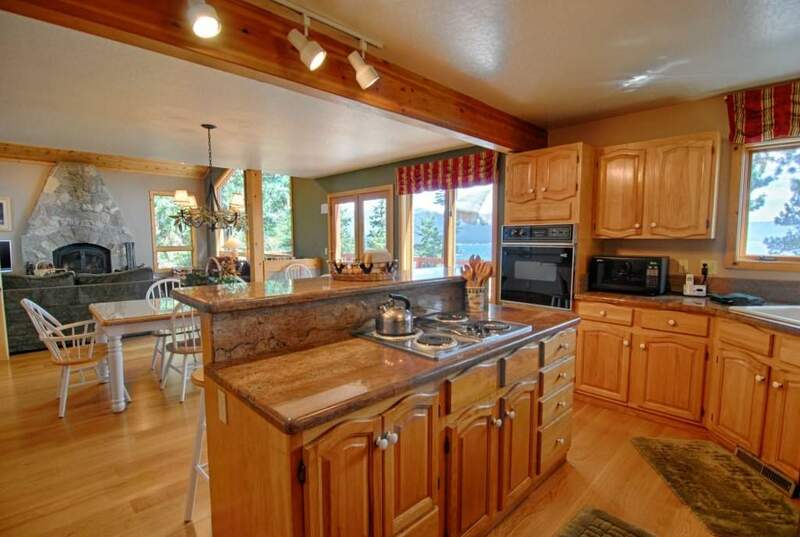 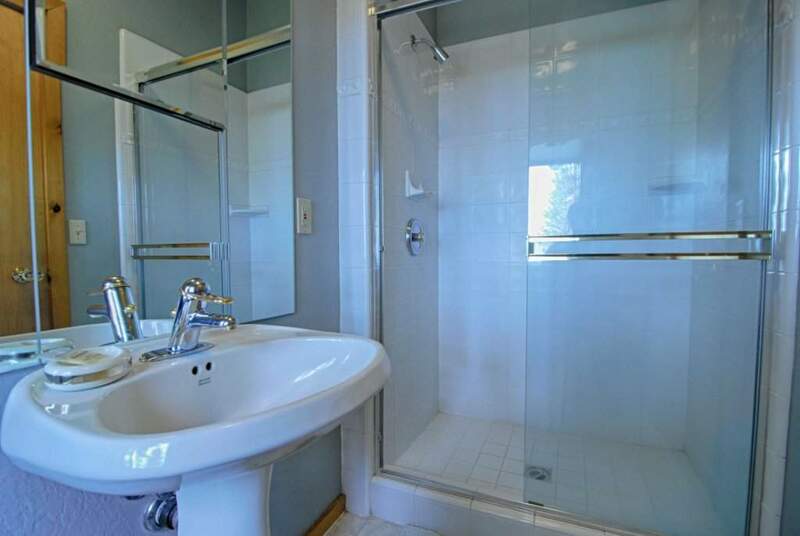 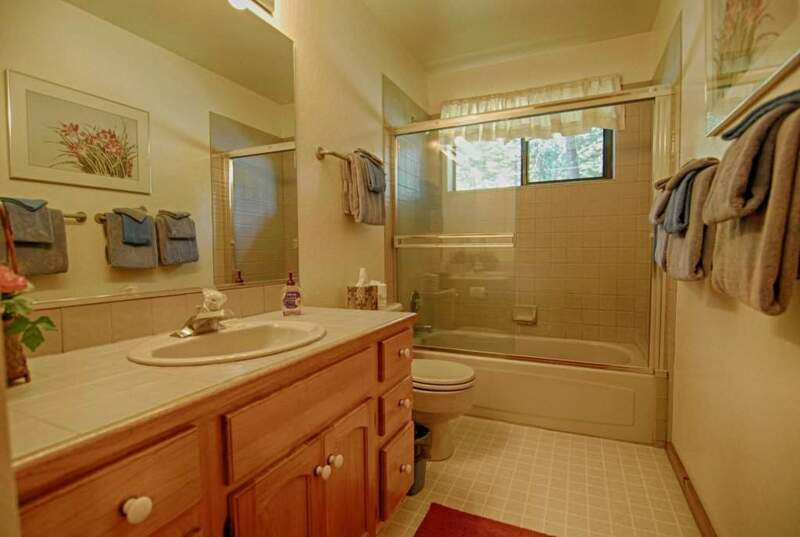 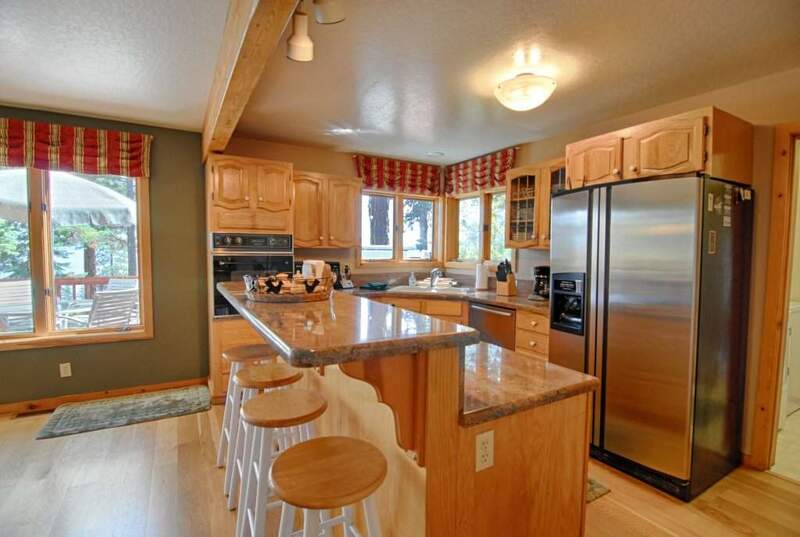 Home is also equipped with wireless internet and a large two car garage. 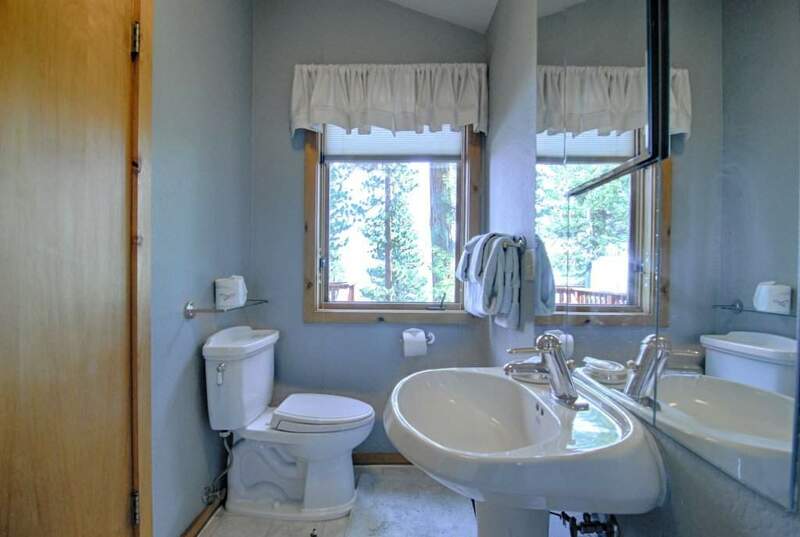 Small (under 25 lbs.) 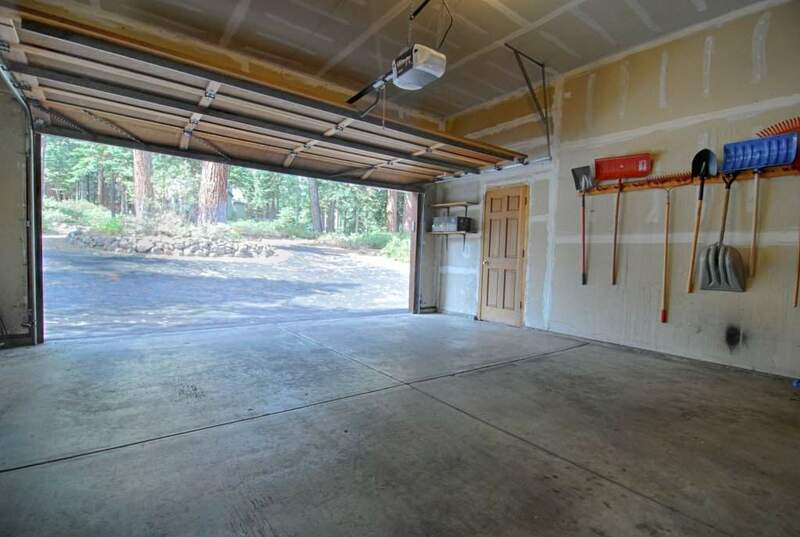 shed-less pets welcome. 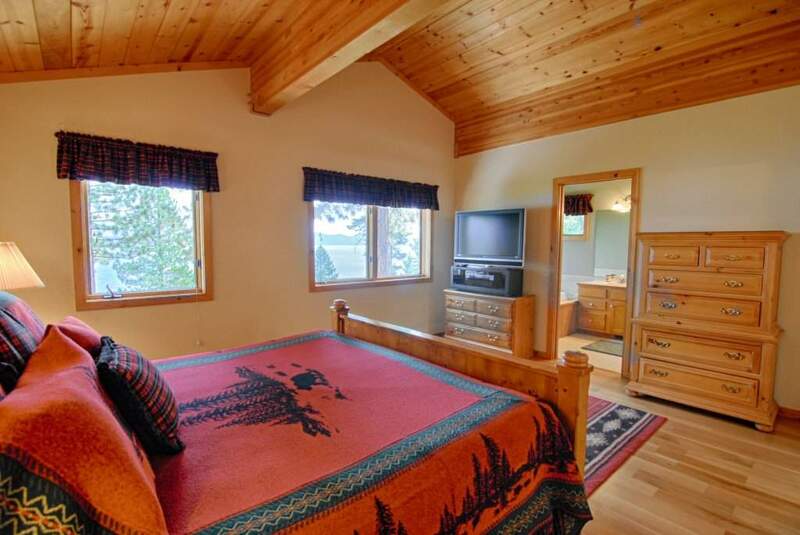 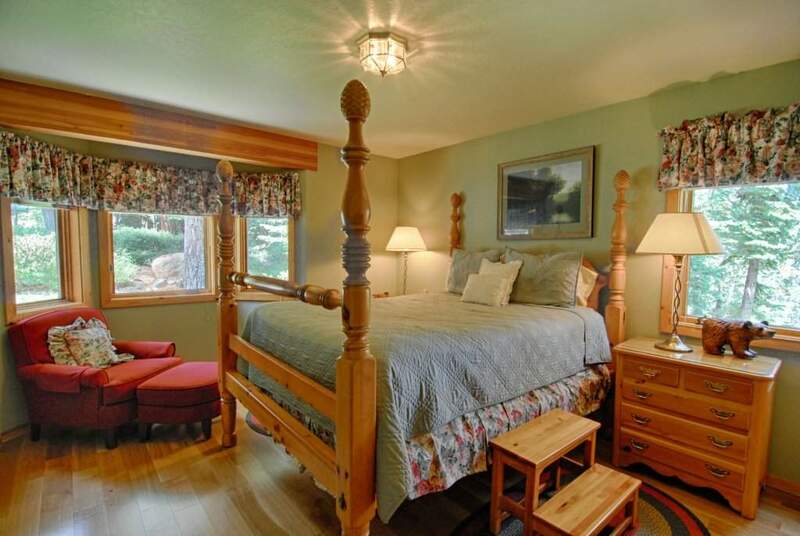 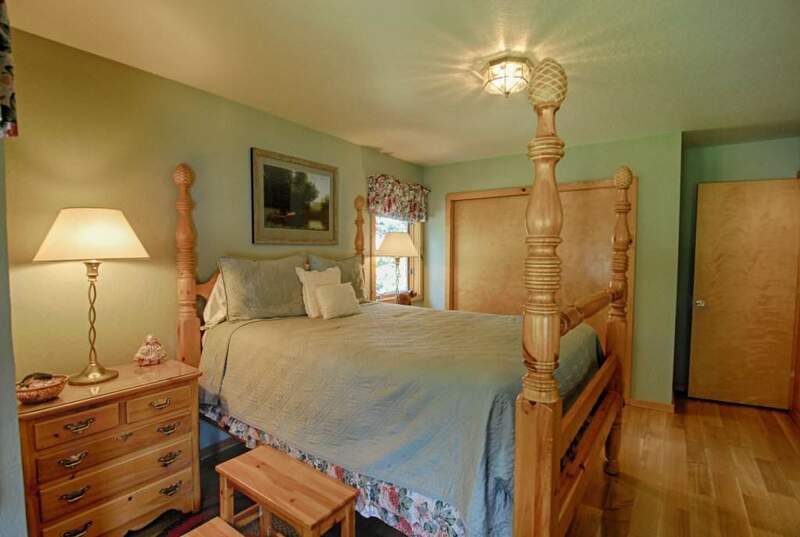 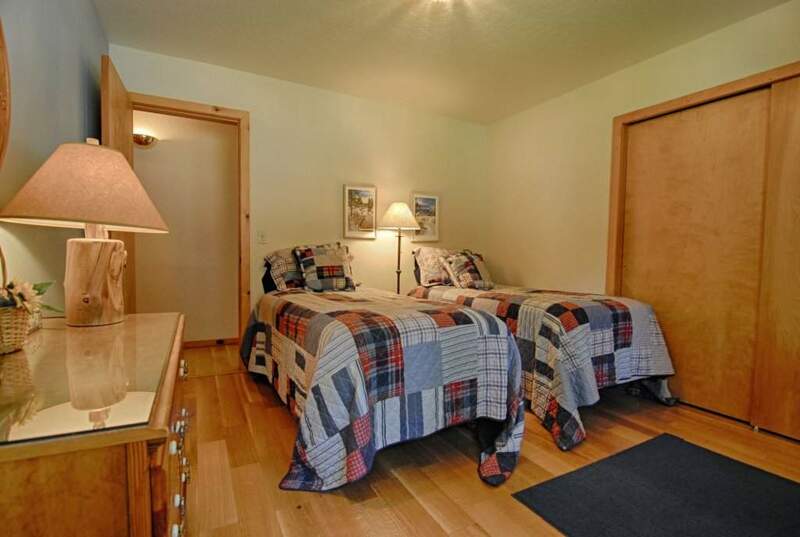 If you’re looking to make your vacation memorable, book this property!